More and more people are using their big, flat-panel TVs to watch Internet video, view photos, play music and casual games, and access apps, social media and Web sites. The trouble is, this is primarily being done via plugged-in PCs, or add-on boxes like Apple TV, Microsoft’s Xbox and Roku players. They use separate remotes and are accessed via separate inputs on the TV. Lots of people have been counting on Apple to unify standard TV with these apps and Internet content in a simple, elegant device. The company is working on it, but the major TV makers aren’t waiting. They are offering Internet-connected “smart TVs.” Their pitch is that you can switch between, or even combine on one screen, regular TV and Internet content, without adding extra devices and remotes, or switching inputs. I decided to check in on the state of the smart TV by living for a few days with the latest version from Samsung. While competitors like LG, Sony and others also offer smart TVs, I chose Samsung for two reasons. 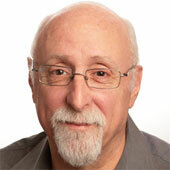 First, it’s a powerhouse across the world of digital devices that run apps. Second, this year it introduced to its smart TVs a new kind of touch-based remote and a concept called Smart Interaction, which uses a camera and microphones built into the TV to support voice control, gesture control and facial recognition. I installed the smallest top-of-the-line Samsung LED model with these new features, the 46-inch ES8000. It costs about $2,000, after rebates. My verdict is mixed. The Samsung Smart TV worked well for some functions, like watching standard cable TV, conducting Skype conversations with the camera and mics, and watching streaming television and movies via services such as Netflix, Hulu Plus and MLB.TV. I appreciated not having to switch inputs and remotes. I also liked the companion apps for the TV Samsung makes available for Android devices and for the iPhone and iPad, which act as remotes or can beam content onto the TV without an adapter. But I found the new Smart Interaction — voice, gesture and facial recognition — unreliable and awkward. Many of the key apps, including Facebook, Twitter and the Web browser, seemed crude and hard to use without a keyboard, which Samsung sells for about $100. The Smart Touch Remote was disappointing. I focused my testing on the Smart Interaction, the new remote and the latest version of the Smart Hub, Samsung’s built-in interface for apps and Web content. I wasn’t evaluating the ES8000 as a standard TV, though it handled regular TV just fine. Setup was easy. The TV easily hooked up to my cable box and linked to my home Wi-Fi quickly and reliably. 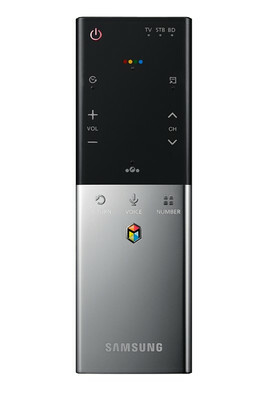 The Samsung ES8000 allows you to control many functions, like turning the TV on or off or launching apps, by saying “Hi, TV” then speaking a command. You can do this with the TV’s built-in mics, located with the camera in a small module atop the TV, or via a mic built into the Smart Touch Remote. When you say the trigger phrase, a list of possible voice commands appears at the bottom of the screen. It was disappointing. In many cases, my commands were ignored, interpreted inaccurately, or had to be repeated several times — even in a quiet room and within the recommended distance. I could only get the TV to turn on via voice once in a dozen tries. Gestures were similarly frustrating. You’re supposed to enable them by just waving your hand toward the camera, but this often failed. When it didn’t, I found using gestures to navigate among apps on the Smart Hub screen to be cumbersome. The exception was “Angry Birds.” It worked well with gestures. Face recognition — mostly used as an alternate to a password for logging into Samsung’s Internet services — failed for me utterly, even when I left my chair and squatted with my face lined perfectly up to the camera just a few feet away. I had better luck with the Smart Remote, which attempts to get rid of the typical plethora of buttons by using a touch pad. But I found this touch pad to be much less responsive than the best laptop touch pads. I sometimes grabbed for the standard remote that comes with the TV and preferred using Samsung’s Smart Remote app on my iPhone. It was responsive and performed the same functions. Also, typing in things like passwords, search terms, tweets and Web addresses, was clumsy with either remote, and inconsistent, as it is on many TV-based apps. You have to peck out letters on an on-screen keyboard. The iPhone (and Android) remote app often was better, because it was smoother, and the phone’s keyboard could be used in some cases. This screen, separate from the main TV display, contains the ES8000 apps and Internet functions. It isn’t new, but has been improved. It contains some Samsung-based apps, like a family-photo and chat program, a kids’ game and learning app, and a fitness app for exercise videos and charts of results. You also can download third-party apps from a built-in store containing 784 choices, of which about 70 percent are free. The Smart Hub screen features a small window that shows the TV program you were watching. But if it gets annoying, it can’t be turned off. There also is a feature called Social TV, which wraps a large TV window with a small display of your social network feeds. The feeds aren’t filtered to focus on whatever show you’re watching. There are Facebook and Twitter apps, but they seemed stripped down. For instance, in Twitter, I wasn’t able to click on a link in a tweet and have it appear in the Web browser. As noted, the best-performing apps were those that mimicked TV, such as Netflix. I also liked a Samsung app called SwipeIt, which lets you take a picture or video from a phone or tablet and with a swiping gesture, make it appear on the TV. It worked perfectly on a Samsung tablet and an iPhone. 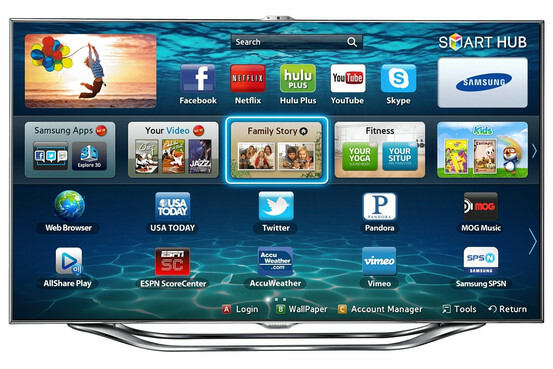 There are flashes of a great future merging regular TV and the Web on the Samsung Smart TV. But it needs work.